Our 2018 custom race shirt designed to help fight cancer! 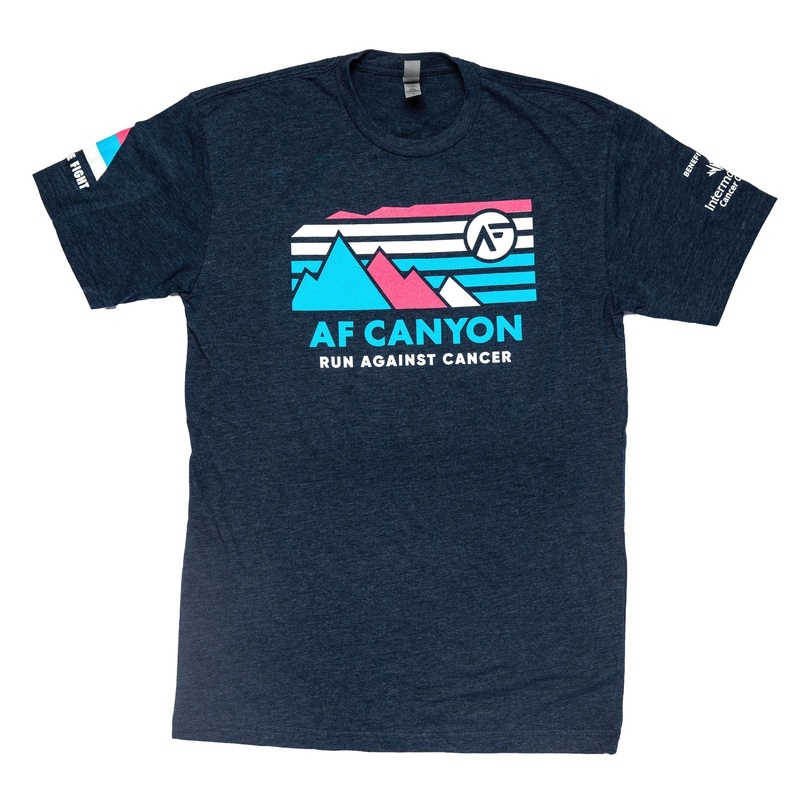 Heathered navy Next Level cotton t-shirt with race design. Unisex sizing.